DYNAMIC FORCES® - BATMAN LIL GOTHAM #1 FIRST PRINTING SIGNED BY DEREK FRIDOLFS! SPECIAL FIRST APPEARANCE PRICING! The first time in print for this hit all-ages digital first series! 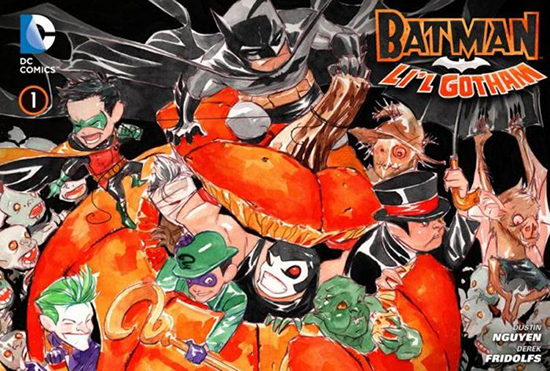 First, Robin needs Batman's help to learn the true meaning of Halloween. Then, on Thanksgiving, Batman and Robin join the families of Gotham City around the table for a holiday feast-and birds of a feather flock together to stage a march against the city...led by The Penguin!